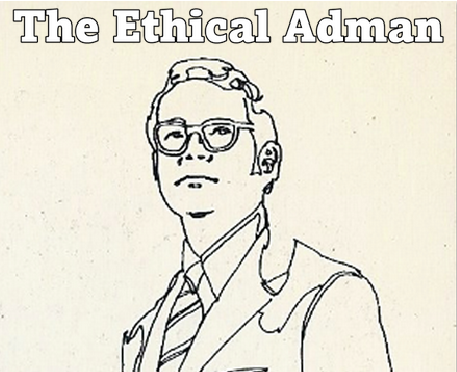 The Ethical Adman: Is this "You Retard" cap a simple case of awkward bilingualism? 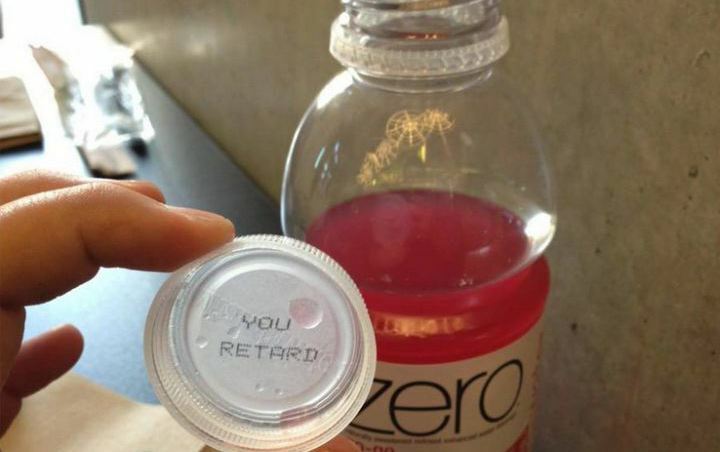 Is this "You Retard" cap a simple case of awkward bilingualism? If so, it's a very Canadian problem — and one that other brands would do well to learn from. Global News reports that an Edmonton woman was shocked to see these words on the bottom of a cap she had just removed from a bottle of glacéau vitaminwater (a Coca-Cola product). The woman, 32-year-old Blake Loates, says she was particularly outraged because her younger sister she has a younger sister lives with cerebral palsy and autism. Imagine my surprise when I got this photo from my oldest daughter, Blake, who lives in Edmonton, Alberta in Canada. You see, the “R” word is considered a swear word in out family. We don’t use it. We don’t tolerate others using it around us. We ARE over-sensitive but you would be too if you had Fiona for a daughter! I know you will likely blame this on some rogue employee at some distant bottling plant. Probably not even one of your employees. But you have invested billions in promoting your brand. (Heck, I’ve been drinking Coke products since I was nine and got my first paper route!) And this single action, this small word printed on the bottom of a Vitamin Water lid, discovered by my daughter in Canada, has inspired me to tell you just how much the “R” word hurts. How destructive it is. How caustic. How uninformed. How isolating. Like the “N” word. Ms. Loates also shared the letter on Facebook, along with a picture of the cap and of her sister. Coca-Cola did apologize, in an e-mail. But they also issued a statement claiming that the words were part of a promotion. “We started printing random English and French words under the caps of glacéau vitaminwater. The top word English, bottom word French. In this case, a French word, despite an innocent meaning in French, made the production list of words,” Shannon Denny, director of Brand Communications with Coca-Cola Canada, said in a written statement Wednesday. We sincerely apologize for having inadvertently offending anyone. We take every consumer concern very seriously. This is a genuine oversight in the review process. The mistake has been corrected and the words removed from all future production. As corporate apologies go, it's not bad. HuffPo says Coca-Cola plans to suspend the promotion and will recall product to ensure all remaining "worded" caps have been destroyed. However, a nice little donation to R-Word.org would have added more weight to it. After all, even an accidental mistake is an opportunity to show what you're made of.